My son and daughter play superheroes all the time, and they like to make up their own superhero names and give themselves different super powers. Last year, they came up with Jewel of Light. This is who my daughter pretends to be every time she is a superhero. In the fall of last year, I started playing around with the idea of writing a children’s book, which is something I have no knowledge of, but I loved the idea. However, I didn’t see it just as a book. 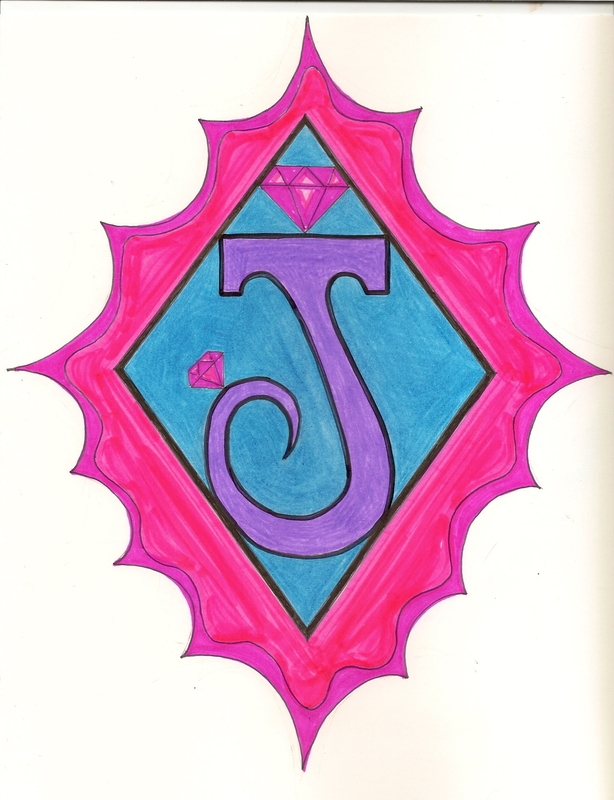 The more my daughter told me about Jewel of Light, the more I could see so many different stories playing out, so my vision became even larger, and I decided instead of writing a children’s book, why don’t I create a children’s book series with Jewel of Light as the main character? I left it on a mental shelf, and a few months ago I started thinking about her birthday party. Many of you have already discovered that I go all out for birthday parties (Heaven help me when they turn 13, then 16, then get married). I knew exactly what I wanted to do, but I had to figure out how to tie everything in together. After talking to my sweet girl, we decided to change the party theme from Frozen, which every girl seemed to be having this year, and instead make it a Jewel of Light theme. The invitations specified for everyone to make up their own superhero giving themselves a name and super power and come dressed with whatever they could find laying around the house to make up their costume. I worked diligently to get this first book written. My daughter had no idea. In the process, I also learned that I just didn’t have the time or talent to illustrate a book that I wanted to not only survive in the children’s book world but to thrive beyond even what I could have ever envisioned, so I began the search for someone who was, well. . . perfect. The funny thing is, I had no idea what perfect meant in this case, but I quickly found out because I found her! I met with Charla Pavlik a couple of months back, and I saw her work. I was floored because her style is exactly what I had in mind! What’s funny is I wasn’t even meeting with her about illustrating. I was meeting with her to get to know her, and it turned into a meeting of becoming partners in this creation. She could see my vision for Jewel of Light, and that’s a must if I want to make my vision work. It lets me know I can trust her judgment allowing her more artistic freedom, and I can focus on the written word. God is so good! I don’t believe our meeting was by chance. At the birthday party, my sweet princess opened the first draft book of her very own superhero, Jewel of Light. I read it to the kiddos, and I can’t express to you the pride I had when reading and watching my child’s face light up as I read the story SHE had created! We are still in the creation process. The words are there, and the illustrations will complete the book. We already have an ISBN number and everything! I am so excited to get this one out! At our house, we love superheroes, but do you feel most of them are not age appropriate for your children, full of violence and sexualized characters? My kids love superheroes and want to watch popular tv shows with them, but I won’t allow it because it doesn’t fit into what we view as appropriate. Jewel of Light is a different kind of superhero. Like all superheroes, she has to fight off her villains, but she does it in a way that no one has ever seen before. How did I come up with something so different? I didn’t. My 5 and 8 year old did. No one dies, and there is no gore, and I can assure you that no one is sexualized. The main character is a 5 year old girl who uses her secret identity to help her through real life situations with semi-real life villains. If you have a daughter, granddaughter, niece, sister, cousin, friend who you think would love to read about Jewel of Light and her adventures and you would like to stay up-to-date on the details of this book, please fill out the form below, and I’ll keep you in the loop. You will ONLY receive information regarding the book and expected date of publication. I promise to not send other emails to you to clog up your inbox. My vision is to see Jewel of Light everywhere, so please spread the word! Jewel of Light Wait List(required) Yes! Please add me to the Jewel of Light wait list where I will receive the occasional email regarding the status of the book. © 2014 Charla Pavlik, Misty Gatlin, and Fearfully Made Ministries, LLC. Unauthorized use and/or duplication of this material without express and written permission from Fearfully Made Ministries, LLC is strictly prohibited. From One Small Step to One GIANT Leap. . .